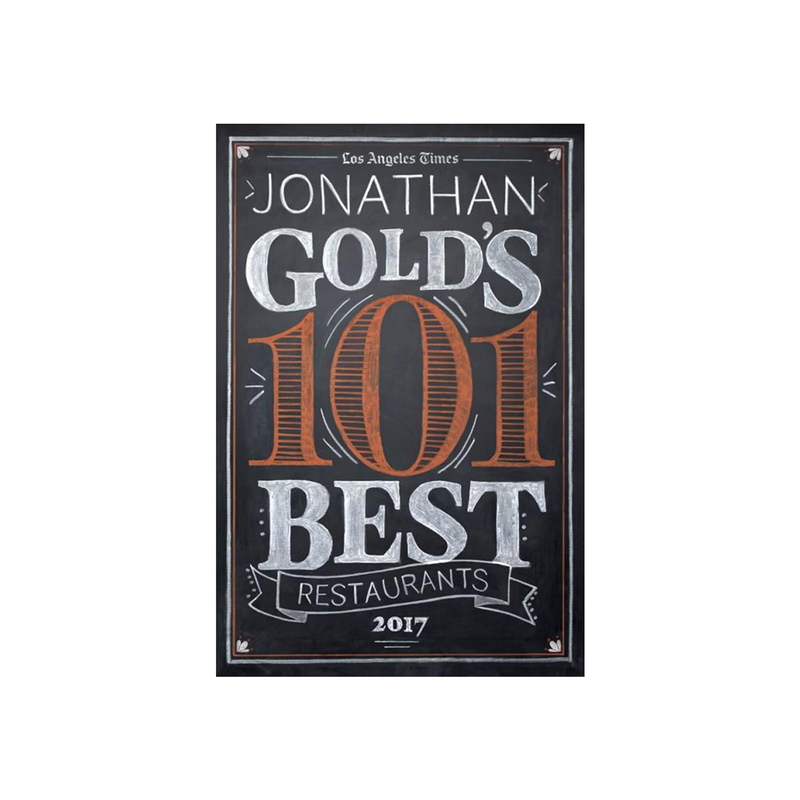 92 pages, 6" x 9"
The 2017 edition of our definitive guide to L.A.'s food scene is here. 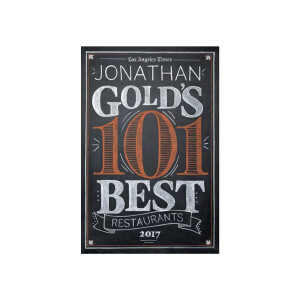 Pulitzer Prize-winner Jonathan Gold serves up delightfully piquant reviews of his 101 favorite restaurants, each garnished with a tantalizing photo and complete info. It's the ultimate dining companion.